Update: Story and image gallery updated with fresh live images from a dealership sent by IAB reader Denkal Productions. 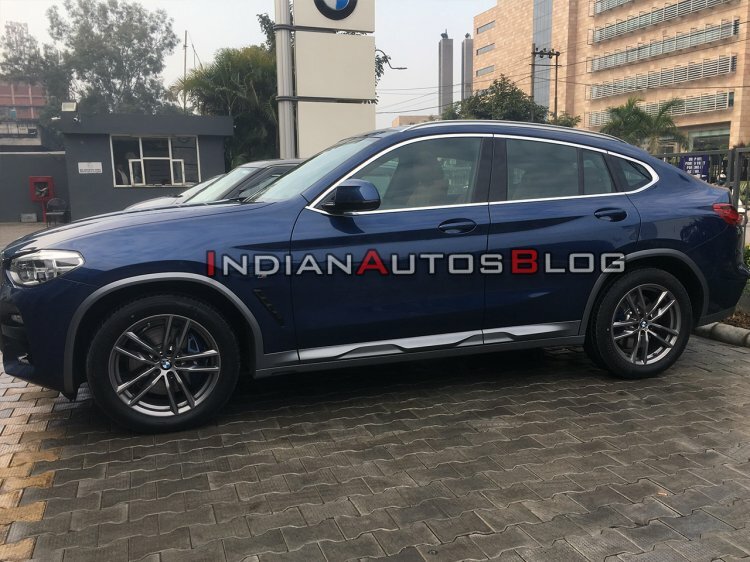 The 2019 BMW X4 has been launched in India at a starting price of INR 60.60 lakh*. The coupe brethren of the current generation BMW X3 has been introduced in the local market exclusively in the M Sport X trim. 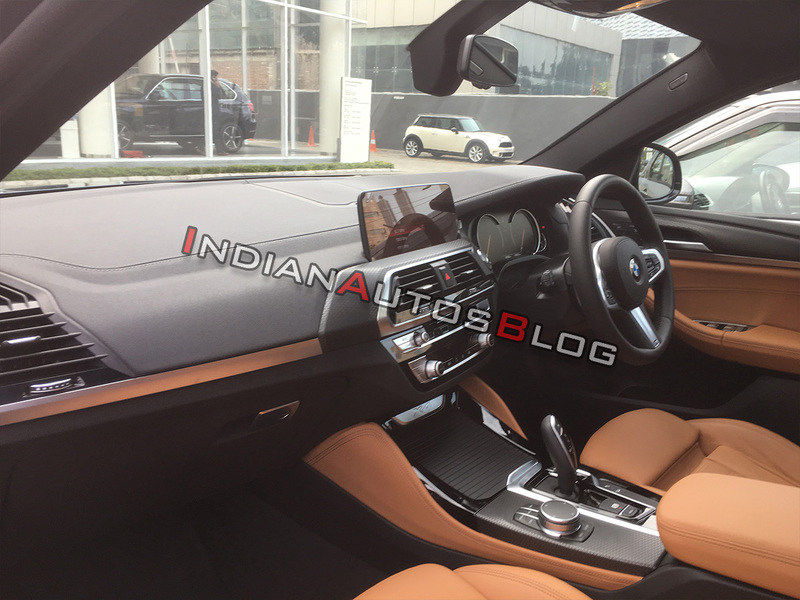 The 2019 BMW X4 is the first of the 12 new launches that BMW India has planned for 2019. 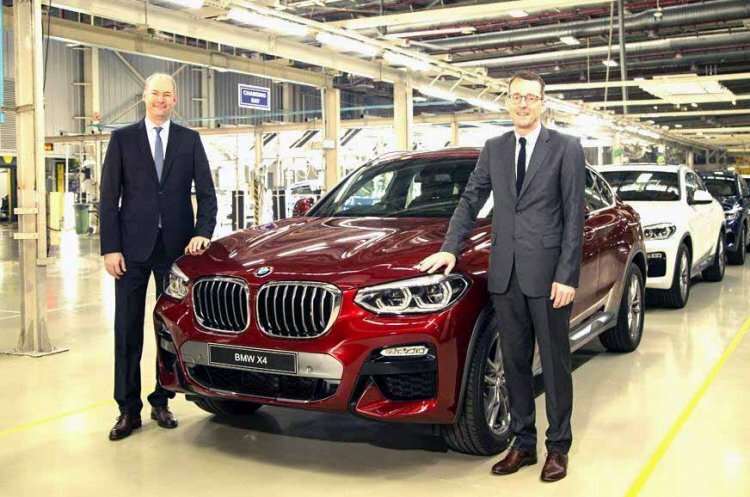 BMW established the Sports Activity Vehicle (SAV) category and the latest addition to this hugely successful family is the all-new BMW X4 belonging to the Sports Activity Coupé segment. Its distinctive vehicle concept, which fuses the hallmark features of a BMW X model with the sporting elegance of a coupé, will be proven an instant hit in this class and will become a trend-setter. The all-new BMW X4 underscores its individual character with superior driving dynamics, standout exterior design accentuating the car’s sporting instincts, a refined premium ambience in the interior and leading-edge technologies. The 2019 BMW X4 is 4,572 mm long, 1,918 mm wide, and 1,621 mm tall. It has a wheelbase of 2,864 mm. In comparison with the earlier generation, the new SAV is 81 mm longer, 37 mm wider and 3 mm lower, while its wheelbase is 54 mm longer. Available only in the M Sport X trim, the India-spec X4 features the company's M Sport body kit that includes side skirts, rear diffuser, 19-inch alloy wheels, dual exhausts, and a roof-mounted rear spoiler. On the inside, the M Sport X trim brings in sports seats, M design steering wheel, and several M badges. The features list comprises a panoramic sunroof, electric tailgate, adaptive suspension, iDrive infotainment system with a 10.25-inch touchscreen that offers gesture control feature, heads-up display, and a three-zone automatic climate control unit. The safety kit on offer includes six airbags, vehicle stability control, ABS with EBD, Attentiveness Assist and Isofix child seat mounts, among others. All motors come mated to an 8-speed automatic transmission that drives all four wheels. Moreover, every variant comes equipped with BMW's drive mode select system that offers four settings - Eco Pro, Comfort, Sport and Sport+. Like the X3, the X4 comes to us via CKD-route and is locally assembles at the company's Chennai-based facility.